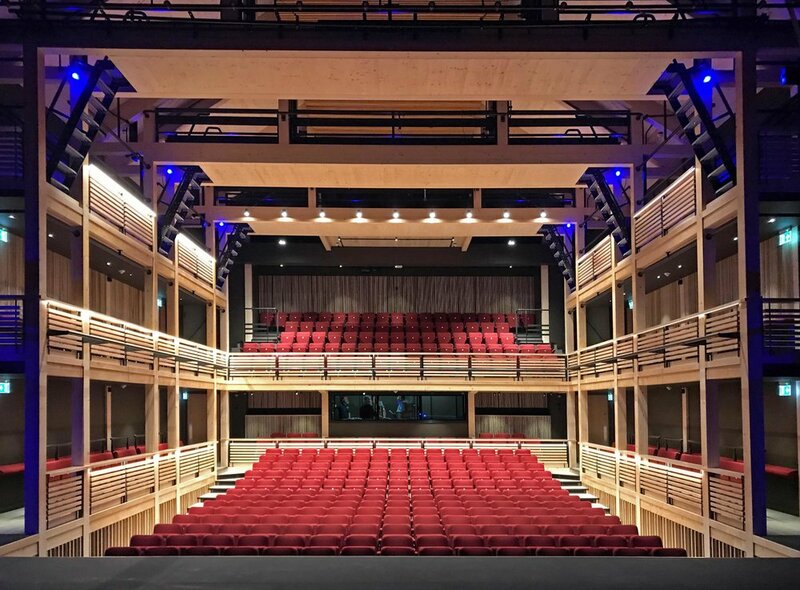 A new Performing Arts Centre for Hurst, designed by Burrell Foley Fischer and constructed by Management and Construction Services, has been handed over to the College, on time and on budget. Hurst is a thriving, co-educational day and boarding school for pupils from age 4 to 18 years, situated within a 140-acre campus, surrounded by beautiful countryside on the borders of the South Downs National Park, close to the village of Hurstpierpoint in West Sussex. The new Performing Arts Centre provides the College with a flexible, 370-seat, courtyard theatre that responds to a number of different formats to suit drama, dance, music theatre and musical performances. It replaces their existing Bury Theatre, which no longer provides the standard of facility needed. Theatre buildings are generally characterised by a distinct ‘front’ and ‘back’ (denoting front-of- house and back-of-house) creating a compositional arrangement that is often uneven when approached from different directions. In this case, the new PAC can be viewed from all directions and so the building’s composition is expressed with the central mass of the auditorium rising in the middle, with four columnar roof vents punctuating the roof ridge, and the ancillary spaces wrapped as a secondary layer around the outside. 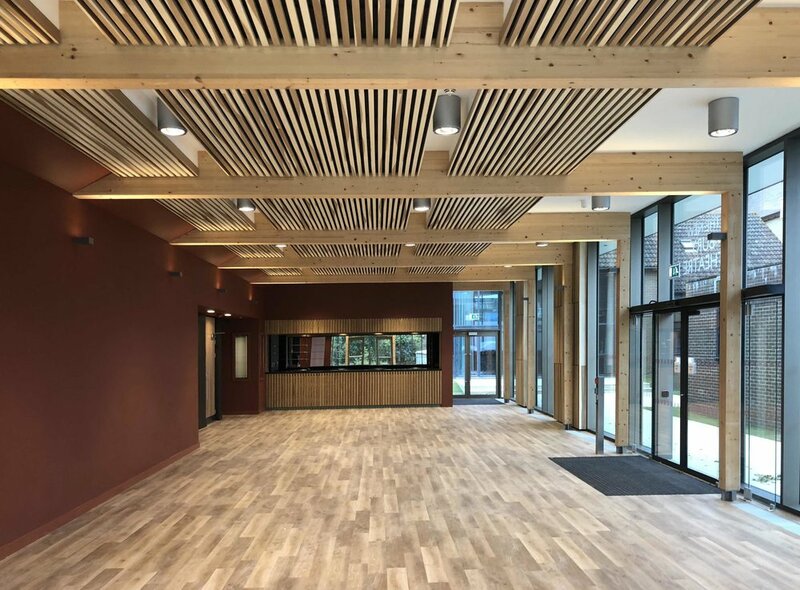 The glazed foyer areas are designed to face the eastern approach in the direction of the main College Buildings, where the transparent outlook of the foyer spaces presents an inviting aspect across the green space. Currently, the practice room wing of the Music School partly masks this approach but as the College’s masterplan is implemented this aspect will be opened up putting the new PAC in its proper context.